Our tour guide 潭先生was great. He has great knowledge about many places and stuff and shared them with us. He is always on time and is very patient with us. The lunch is awesome...A great tour for you if you visit taichung. The only downside as to all outdoor activity is that you are at the mercy of the weather, so be prepared! 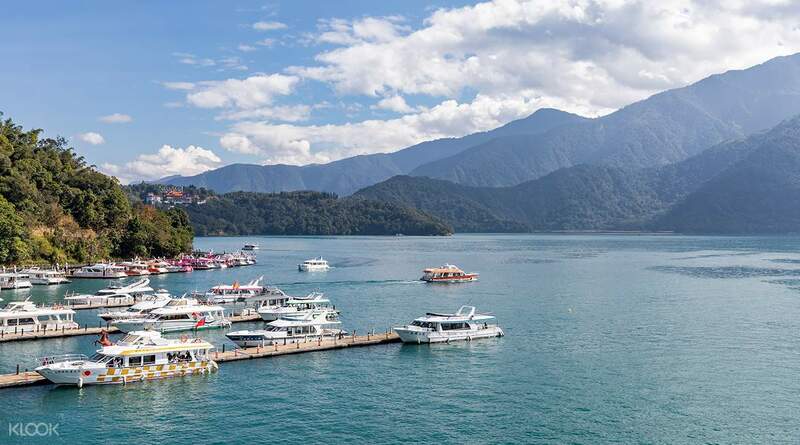 The largest lake in Taiwan, Sun Moon Lake does not fail to impress with its calm, refreshing waters, and scenic, mountainous surroundings. And what better way is there to take in such a picturesque view than going on a boat cruise, where you will be completely relaxed? 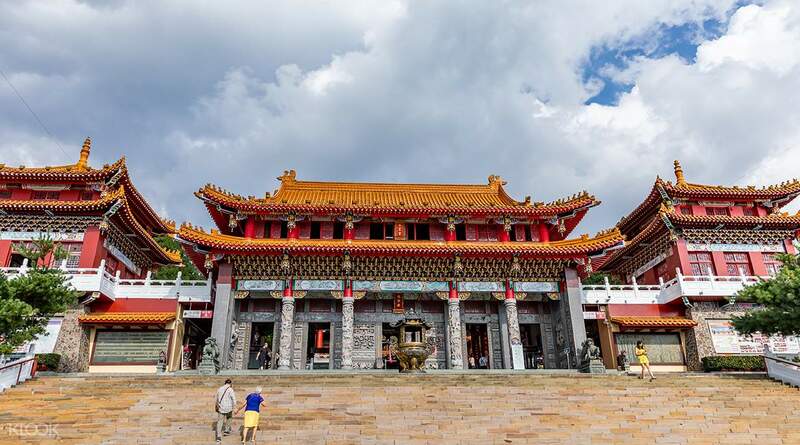 Familiarize yourself with this beautiful setting by taking a walk along the lake on the “Rambling Journey” hiking trail, before getting your final dose of culture with a visit to Wenwu Temple, a sacred site with intricate decorations all over both the exterior and interior. Our tour guide 潭先生was great. He has great knowledge about many places and stuff and shared them with us. He is always on time and is very patient with us. The lunch is awesome...A great tour for you if you visit taichung. The only downside as to all outdoor activity is that you are at the mercy of the weather, so be prepared! Our tour guide 潭先生was great. He has great knowledge about many places and stuff and shared them with us. He is always on time and is very patient with us. The lunch is awesome...A great tour for you if you visit taichung. The only downside as to all outdoor activity is that you are at the mercy of the weather, so be prepared! Guide was punctual & picked us up from our hotel lobby. A pity it was a rainy day and we were not able to engage in additional activities. Guide still managed to complete all items on the itinerary and he has very good knowledge of the history of the place. We still managed to take many beautiful pictures of the lake and mountains which we can only witness on a rainy day. Guide was punctual & picked us up from our hotel lobby. A pity it was a rainy day and we were not able to engage in additional activities. Guide still managed to complete all items on the itinerary and he has very good knowledge of the history of the place. We still managed to take many beautiful pictures of the lake and mountains which we can only witness on a rainy day. A great day spent with guide Andy! He was very chatty and knowledgable abt the destination! He made the trip very fun and a great photographer! 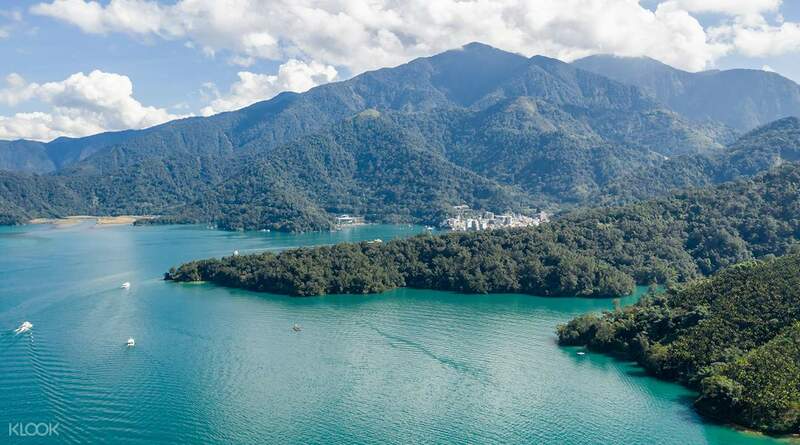 Highly recommend this trip to everyone who wish to explore sun moon lake but don’t have the luxury of time to spend a few days there! The lunch was pretty good and worthwhile. 5 star for this day tour and the guide! A great day spent with guide Andy! He was very chatty and knowledgable abt the destination! He made the trip very fun and a great photographer! Highly recommend this trip to everyone who wish to explore sun moon lake but don’t have the luxury of time to spend a few days there! The lunch was pretty good and worthwhile. 5 star for this day tour and the guide! Andy, our tour driver is really nice. He can speak in English well. He’s very accommodating. We enjoyed the tour. 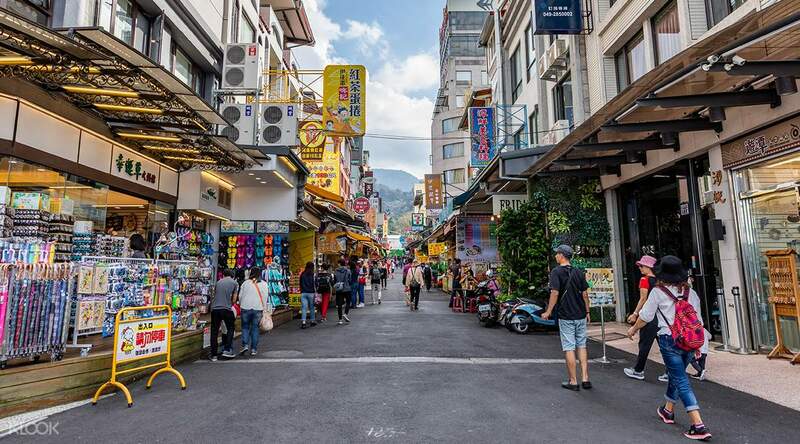 It’s a must when in Taichung. The Sun Moon Lake is really lovely. The trail to Pagoda is a bit tiring. Depending on your pacing, it might take you an hour or so. It took us 30-45 minutes staring from the trail to the top of Ci’en Pagoda and back at the parking. Andy, our tour driver is really nice. He can speak in English well. He’s very accommodating. We enjoyed the tour. It’s a must when in Taichung. The Sun Moon Lake is really lovely. The trail to Pagoda is a bit tiring. Depending on your pacing, it might take you an hour or so. It took us 30-45 minutes staring from the trail to the top of Ci’en Pagoda and back at the parking. It was an awesome experience! We had a minivan of 7pax. Our driver/guide Mr Chen was friendly and helpful. Lunch is included in the cost of the package and it was sumptuous and well presented, highly recommended. Do note that this day tour also involves a good deal of walking and stairs climbing. 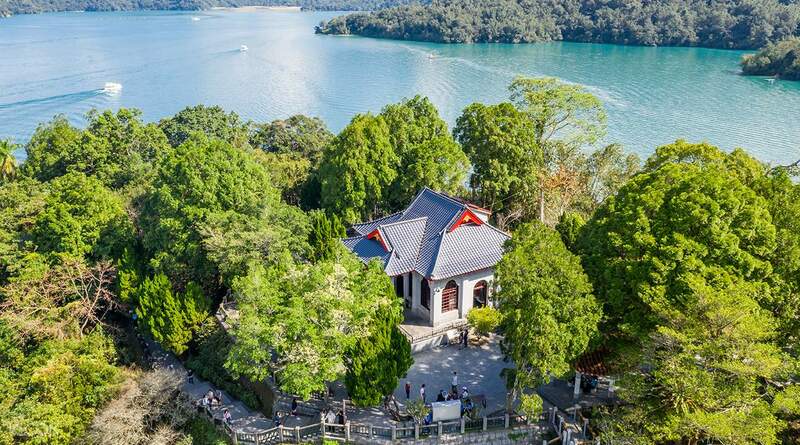 But the view of the sun moon lake from the top of Ci En pagoda is truly worth it! It was an awesome experience! We had a minivan of 7pax. Our driver/guide Mr Chen was friendly and helpful. Lunch is included in the cost of the package and it was sumptuous and well presented, highly recommended. Do note that this day tour also involves a good deal of walking and stairs climbing. But the view of the sun moon lake from the top of Ci En pagoda is truly worth it! the driver has good knowledge on the various places we visited and his sharing made the whole trip an interesting one. the driver has good knowledge on the various places we visited and his sharing made the whole trip an interesting one. The tour was very well organized. On time. Pick up and our tour guide HP was very helpful and explained everything. Love to. Come back. The tour was very well organized. On time. Pick up and our tour guide HP was very helpful and explained everything. Love to. Come back. lovely tour on a lovely day. the guide give us some tips on how to save our knees on our trails/climbs. its well organized and thoughtful. the lunch included was to much my only problem is when i try to change the pickup point both klook and tour operator failed to accomodate it. lovely tour on a lovely day. the guide give us some tips on how to save our knees on our trails/climbs. its well organized and thoughtful. the lunch included was to much my only problem is when i try to change the pickup point both klook and tour operator failed to accomodate it. We had an issue with Klook in relation to the meeting point, but they are prompt in trying to get things resolved in a timely manner. Our tour guide was very lovely! Super helpful and always ran out to open the door for us. My partner and I really enjoyed the trip, we had enough time for each of the stops. Hiking up the pagoda and able to see the lake from up high was really nice. We were able to take some nice shots! The lunch included was in a nice restaurant with Lovely views, however we didn’t enjoy the food that much. It was a set menu with a few sides to eat with your rice, but wasn’t that great. Still okay though! We enjoyed the trip and our tour guide was very pleasant to deal with! We had an issue with Klook in relation to the meeting point, but they are prompt in trying to get things resolved in a timely manner. Our tour guide was very lovely! Super helpful and always ran out to open the door for us. My partner and I really enjoyed the trip, we had enough time for each of the stops. Hiking up the pagoda and able to see the lake from up high was really nice. We were able to take some nice shots! The lunch included was in a nice restaurant with Lovely views, however we didn’t enjoy the food that much. It was a set menu with a few sides to eat with your rice, but wasn’t that great. Still okay though! We enjoyed the trip and our tour guide was very pleasant to deal with!